Sounds like gibberish. Dirgha and Suksmah are to Pranayama as Sthira and Sukham are to Asana. This post is for any yoga dorks out there or for anyone wishing to deepen their understanding of what was traditionally taught in the practice to ensure that the tools of yoga are truly increasing one’s path toward being in a state of Yoga. This has nothing to do with any achievement of a pose or end goal of being able to practice a certain breathing technique. This has to do with the depth of the practice that comes from applying and experiencing the qualities of the practices as they apply to you, in any given moment, and appropriately applied for that moment in time. In the Yoga Sutras of Pantajali, we learn of the purpose and the qualities/ characteristics of asana (physical postures) and pranayam (breathing practices/ control of prana) in the second chapter and specifically Sutras II.46 to II.53. For a breathing practice to be considered pranayama (and this applies to your breathing during an asana practice), according to Sutra II.50, it must involve a conscious regulation of the inhalation, exhalation, and the suspension of the breath. The three aspects of the breathing process must also be consciously prolonged (Dirgha) and in a subtle, non-forceful way (Suksmah). 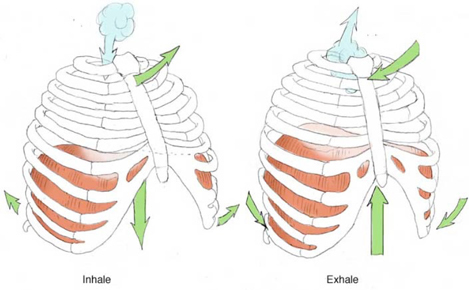 Any breathing or any application of a breathing technique that does not have these two experiential qualities is not pranayama. For a physical posture/ yoga pose or movement to be considered an asana, according to Sutra II.46, it must embody the dual qualities of steadiness (Sthira) and ease (Sukham). Like a healthy tree that can withstand the storms due to having strong and solid roots combined with enough ease and flexibility to sway and not snap with the force of the wind, our physical postures represent our resiliency to the storms in life. If we are so steady that we are rigid, we snap. If we are so comfortable and at ease that we are lethargic and non-grounded, we get tossed around and have a hard time facing challenges. Without these dual characteristics, a physical posture or a sequence of postures may be nothing but a physical exercise. Physical exercise has it’s own benefits. However, when it becomes a true asana, with it’s defined qualities, the benefits are multiplied. Combined, when our physical movements and our experience in our body holds the qualities of steadiness and ease and when our breath is both prolonged and subtle/ smoothe, the practice becomes a whole new experience where the teachings on the mat begin to permeate throughout our life off the mat. And when we can put it all in a very intelligent sequence to deepen all four qualities (Vinyasa), the practice of meditation is truly blissful. I will share more on Vinyasa in a future post.